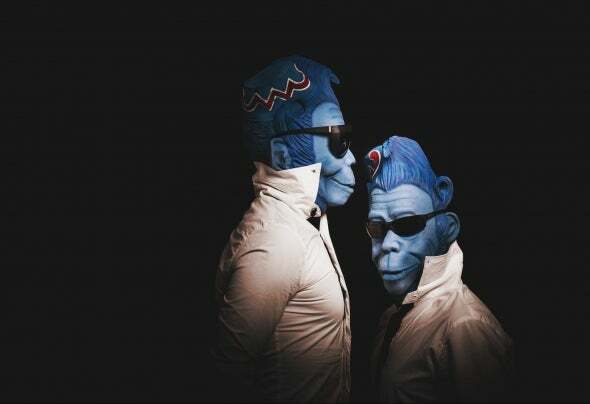 Moonkey is formed by Alex Ferrer & Tucanae, a duo ofproducers, writers and musicians born out of diversemusical backgrounds but brought together by the love ofhouse music. Based in Madrid, Spain, Alex and Tucanae metmany years ago but joined forces at the beginning of 2014to form the duo Moonkey.Alex has been related to the music industry since his earlyteens, emerging from a background of House and Garageand been heavily influenced by an upbringing of Latin, Funk,Disco and Soul. Finally finding that deep house and soulfulwere the genres that he loved the most.When Tucanae was a teenager, he realized that when hewas walking down the street , he was creating music in hismind. His footsteps and the friction of his jacket made thepattern of the drums and the rest of the environmentprovided the melodies and emotions. As music creates andexpresses feelings, he experimented with different stylesuntil he found the combination of deep bass with complexand grooving rhythms.Their debut EP – Step by Step– was released in September2014 on Deeplomatic Recordings. This EP is both areflection on their future vision of house, and a tribute to thesounds that have inspired them to this point.